You are currently browsing the daily archive for July 3, 2011. 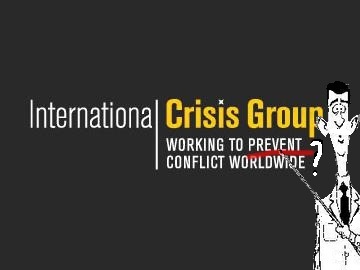 The Executive summary of the latest effusion from the International Crisis Group makes interesting reading. It is supposed to be about ‘India and Sri Lanka after the LTTE’, but is rather a clarion call to India to become a tool of the international maneuvering in which the ICG engages. The essential Western bias of the ICG is apparent in its failure to understand the basic principles which govern India’s relationships with its neighbours. First and foremost India does not want its neighbours to be used by other countries as a tool against India. Second, India has now established itself as the leading country in South Asia and, while it obviously will work together with all countries that do not try to weaken it, it will not become a catspaw of those countries and those interests that succeeded for so long in depriving it of its legitimate place on the world stage. Thirdly – and this is I think the most important legacy of the long, principled struggle it engaged in to gain independence – it values democracy and diversity. The first recommendation of the ICG is that ‘India needs to work more closely with the United States, the European Union and Japan’. I make no criticism of Japan, given that in the salient period it did not really have an independent foreign policy, and I understand too that the European Union did not have a monolithic foreign foreign policy at that stage, and the attitude of individual countries was not always unfavourable. But India is not likely to forget the concerted efforts of the West to keep it under control in the past, beginning with the cynical determination to ensure partition.